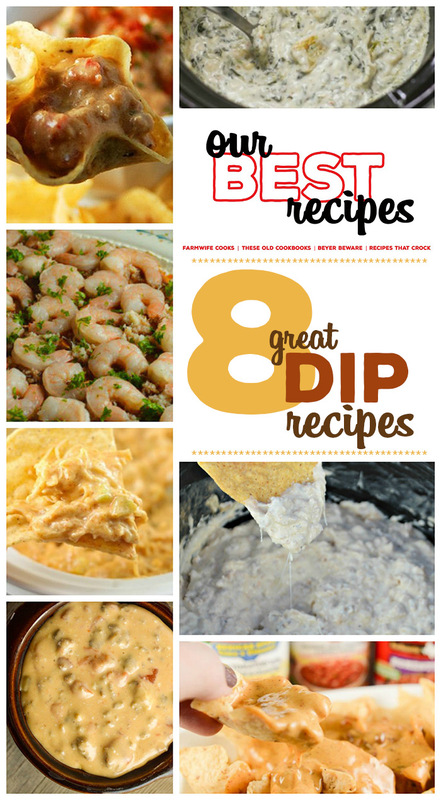 8 Great Dip Recipes (Our Best Recipes) - Recipes That Crock! 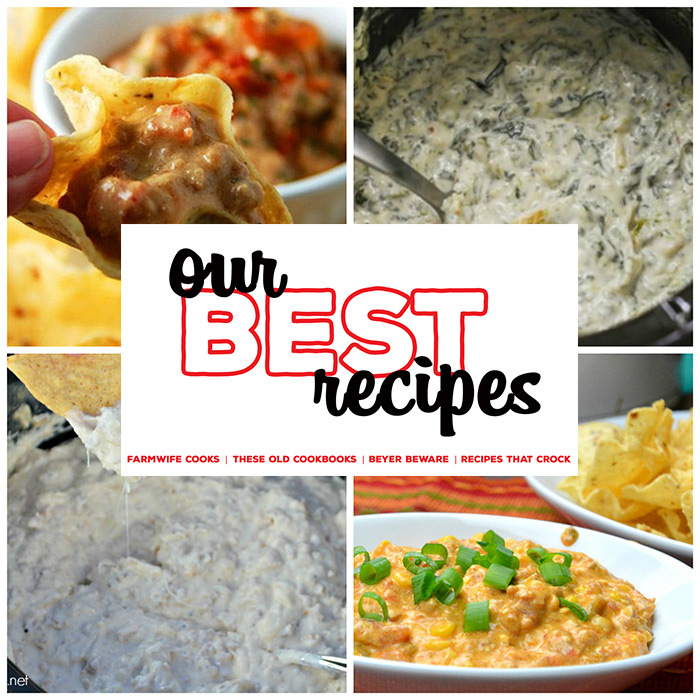 This collection of 8 Great Dip Recipes includes Spinach Artichoke Dip, Bacon Cheeseburger Dip, Cold Crap Party Dip and so much more! These easy recipes are great for parties and potlucks! These dip recipes are so good! From classic recipes to new must-have recipes, you are going to love them! They are sure to be requested again and again from family and friends! Whether it is a Christmas Potluck, Game Day Party, New Year’s Eve Party, Memorial Day BBQ or just a regular ol’ potluck, everyone loves a good dip recipe! These are some of the best from each of our sites!